The jacuzzi tub was amazing. Beds were comfy. Breakfast was great. The atmosphere was so peaceful and relaxing. This is exactly what I needed! 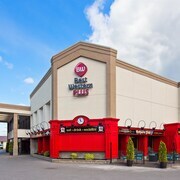 The food was incredible the staff were all so polite & helpful. I will be returning for another stay! 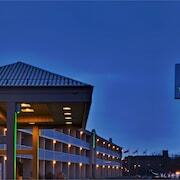 Where to find Keene hotels near an airport? Where can I find hotels in Keene that are near tourist attractions? For those chasing a hotel or apartment close to Keene, there are a number of options. There are 6 Expedia-listed hotels and apartments located within a 0.1-kilometre (0.06-mile) distance of the heart of town. 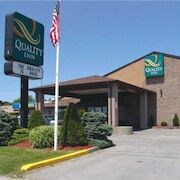 Within driving distance of Keene, are the Best Western Plus Otonabee Inn and Motel 6 Peterborough. 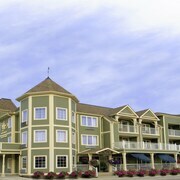 The Holiday Inn Peterborough-Waterfront, ON is positioned 11 kilometres (7 miles) away from the heart of Keene. 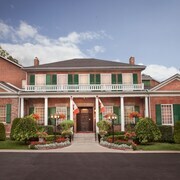 Another hotel is the The Woodlawn Inn, which can be found 30 kilometres (18 miles) away. 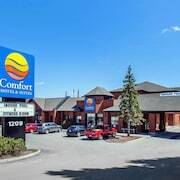 The Best Western Plus Cobourg Inn & Convention Centre and also the Comfort Hotel & Suites are two more Expedia-listed places to stay in Keene. Why don't you check out the many delights around Southern Ontario while you are in the area? Check out Southern Ontario's traditional villages and churches and also admire the area's beaches. Tourists in this part of Canada enjoy skiing. 30 kilometres (19 miles) away from Keene you'll find Cobourg, where you'll find Northumberland Mall and Victoria Hall. Should you wish to visit Cobourg, check Expedia's booking pages for the latest deals at the Comfort Inn Cobourg and Lotus Motel. 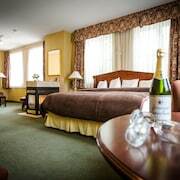 45 kilometres (27 miles) to the west of Keene, you'll find Lindsay, which is home to the Admiral Inn & Conference Centre and Howard Johnson Lindsay. The Ken Reid Conservation Area and Academy Theatre are a couple of the more popular attractions to see while in Lindsay. Get your fix of local sport by taking a journey to General Motors Centre, which is 65 kilometres (39 miles) to the southwest of Keene. For travelers who are interested in booking a room close by, make a reservation in the Quality Suites Whitby or Comfort Inn Oshawa. Pearson International Airport is a convenient airport for flying into Keene. It is 130 kilometres (79 miles) away. If you would like to stay nearby, try the Sheraton Gateway Hotel In Toronto International Airport or Residence Inn by Marriott Toronto Airport. What are the most popular Keene hotels? Are there hotels in other cities near Keene? What other types of accommodations are available in Keene? Explore Keene with Expedia.ca’s Travel Guides to find the best flights, cars, holiday packages and more!